Yamaha Motor Europe is pleased to welcome Australian MXGP star Dean Ferris into the Monster Energy Yamaha Factory MXGP team as a temporary replacement for the injured Romain Febvre. After an exciting start to the MXGP season, which was celebrated with an emphatic Qualifying Race win, Febvre was unfortunately unable to finish the first Grand Prix of the year after a heavy fall in Race 2. The former MXGP World Champion broke his Talus in the incident and was later informed that the injury required surgical repair. Febvre underwent a successful operation on Wednesday 13th of March at the University Antwerp Hospital (UZA). 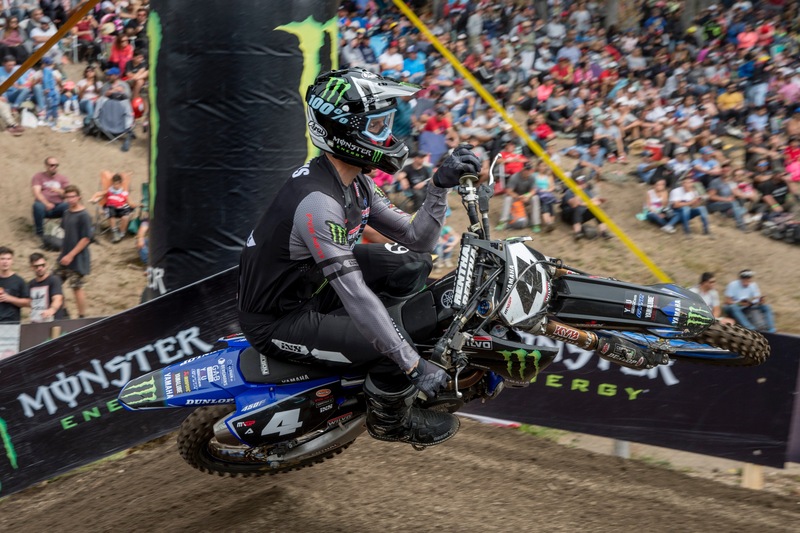 The injury is expected to take six-weeks to heal therefore Monster Energy Yamaha Factory MXGP has called upon Ferris to fill the Frenchman’s seat for the next three rounds of the MXGP World Championship. Ferris is the current Australian Motocross Champion in the premier class and has been undefeated in the title chase for the last three years. All three titles were won on Yamaha’s popular YZ450F, and in 2018 he put his name in the history books as the first rider to win all 10-rounds of the series. No stranger to the podium or the tracks and venues in Europe, the 28-year-old is relishing the chance to race three rounds of the MXGP World Championship with a Factory YZ450FM as a substitute for Febvre. Having achieved his current goals in Australia, he is now looking for opportunities to compete in other areas of the world and new challenges that will allow him to further hone his skills as a top motocross rider. Ferris will make his 2019 MXGP debut on the weekend of March 24that Matterley Basin, in Winchester, England, where he will line up on a Monster Energy Yamaha Factory MXGP YZ450FM for the second round of the FIM Motocross World Championship. Matterley Basin is the first of three back-to-back MXGP rounds. Ferris will also contest the two rounds that follow. Round three in Valkenswaard, The Netherlands, and round four in Pietramurata, Italy.